Greetings, fellow nerdtastic polish friends! Guess what’s on my desk! Guess! 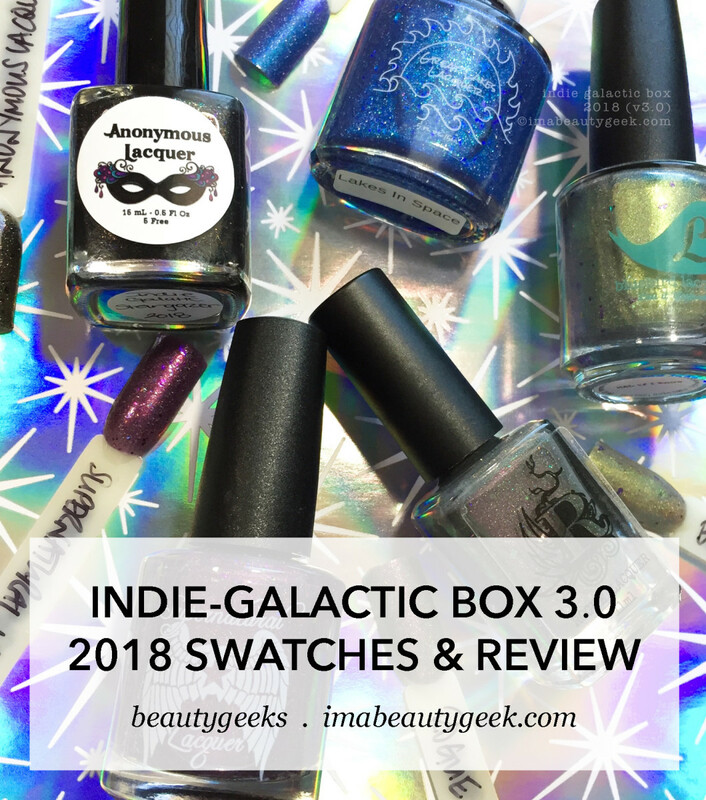 It’s the Indie-Galactic Box 3.0 for 2018. What is dat? 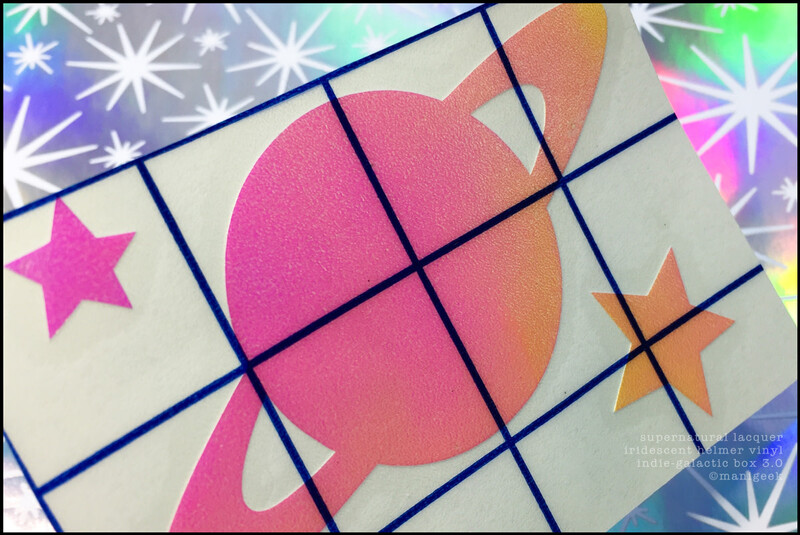 Well, it’s a collaboration of 5 indie makers doin’ limited-edition internationally available spacey stuffs. You’re going to require links ‘n things, so instead of jamming up the swatches, I’ll just leave all that stuff at the end of the post, k? Now, swatchicles! 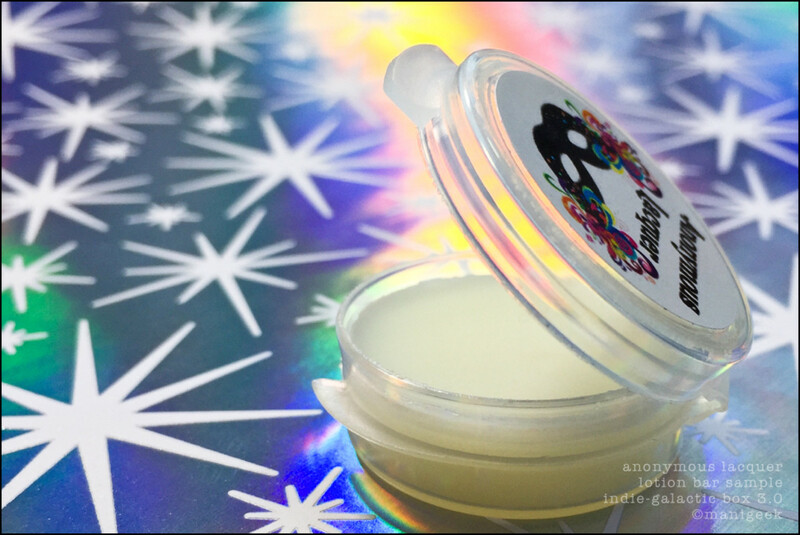 Anonymous Lacquer Stargazer w/ side salad – Indie Galactic Box 2018 (above). I’ve shot everything for you twice, because – well, you can see why. Oh! And there’s top coat on there! I usually top-coat indies with my Revlon Quick Dry Top Coat. Why that one? Because I love it. 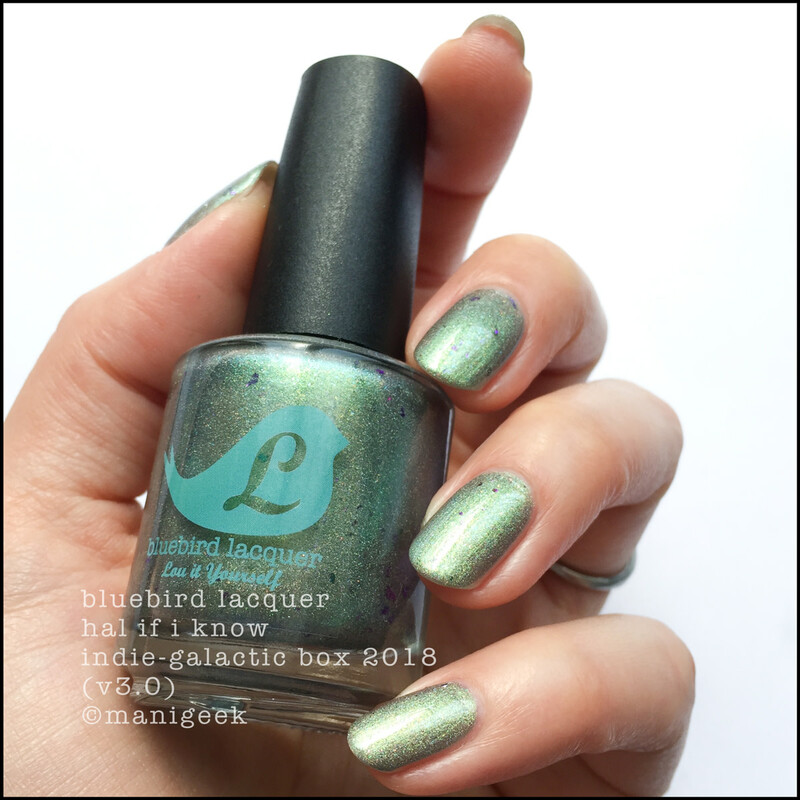 Bluebird Lacquer HAL If I Know – Indie-Galactic Box 3.0 (above). This isn’t my first hit of Bluebird Lacquer and I’m pretty sure I’m a fan. Her formulas are beauty and her shimmeryness with a touch of flakies just makes me smile. 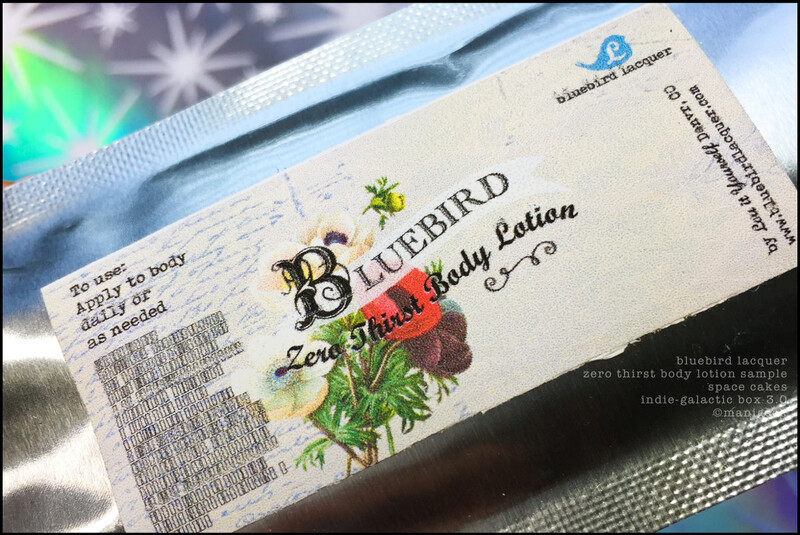 Bluebird Lacquer HAL If I Know w/ side salad – Indie Galactic Box 2018 (above). And if you blast this golden green with some grass, it’s all this crazy skittery-scattery holo! 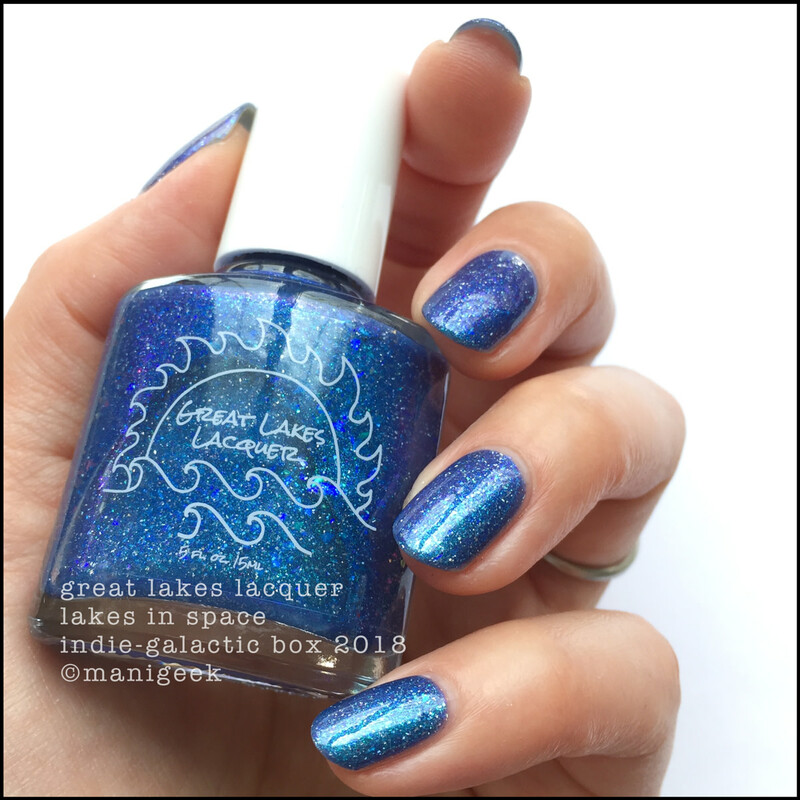 Great Lakes Lacquer Lakes in Space – Indie-Galactic Box 3.0 (above). Unnh. Lookit dat. And be sure to run the shift from pinky to middle, yes? She goes from a stunning bright blue right into violet. 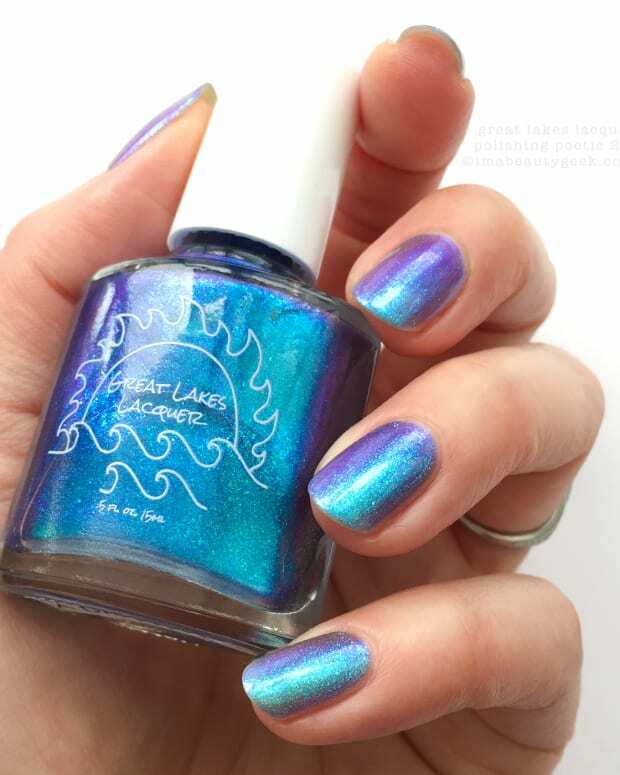 Great Lakes Lacquer Lakes in Space w/ side salad – Indie Galactic Box 2018 (above). And then… #GimmeThat. 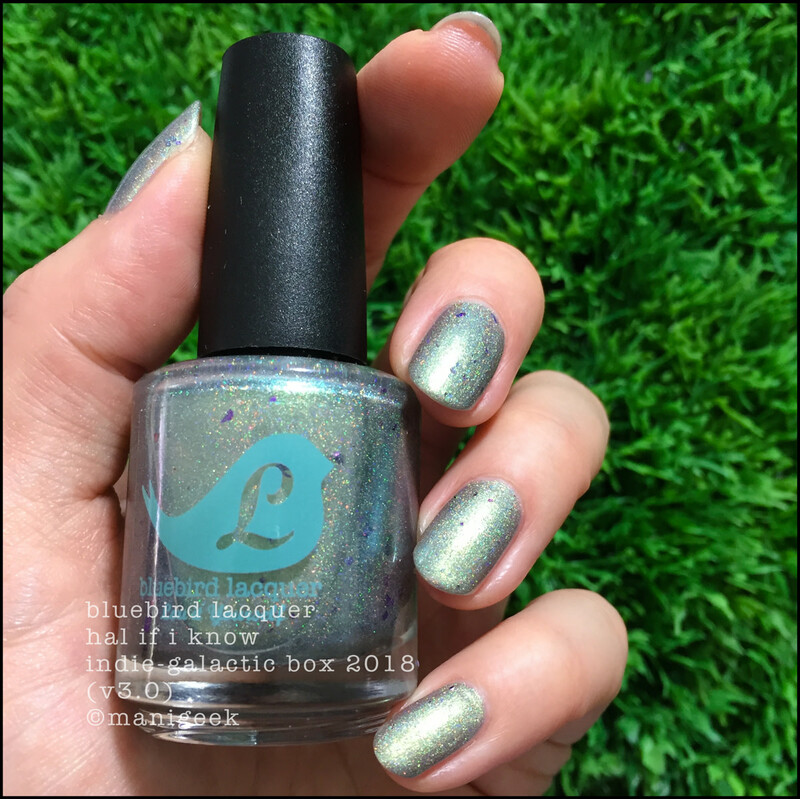 Rogue Lacquer Big Bang – Indie-Galactic Box 3.0 (above). Oh my. What a wondrous neurtral! That’s right, I called it a neutral because here at my desk with just natural light from my windows, it’s a sophisticated taupey-grey that has a whole bunch of shifty pinky-copper shimmer and a handful of funky flakies in it. 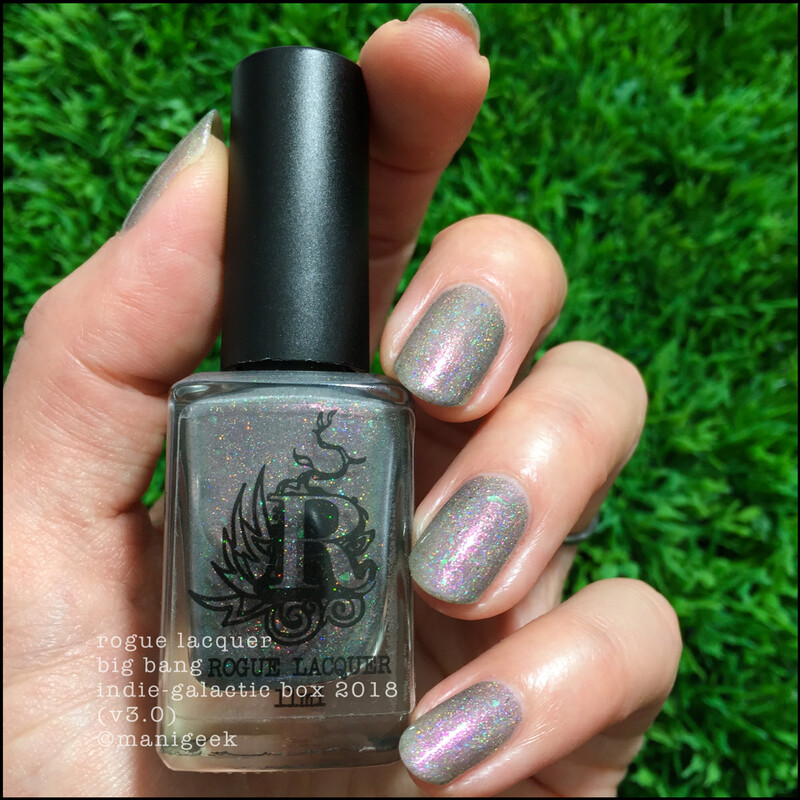 Rogue Lacquer Big Bang w/ side salad – Indie Galactic Box 2018 (above). She’s a chameleon! Check out all those little rainbows and look at all that crazy pinky-copper that shows up right where the light hits it! I should have used 2 coats of top to really pop the shine. Oops. But now that I’ve told you that, you’ll use a juicy, juicy top coat on yours, right? 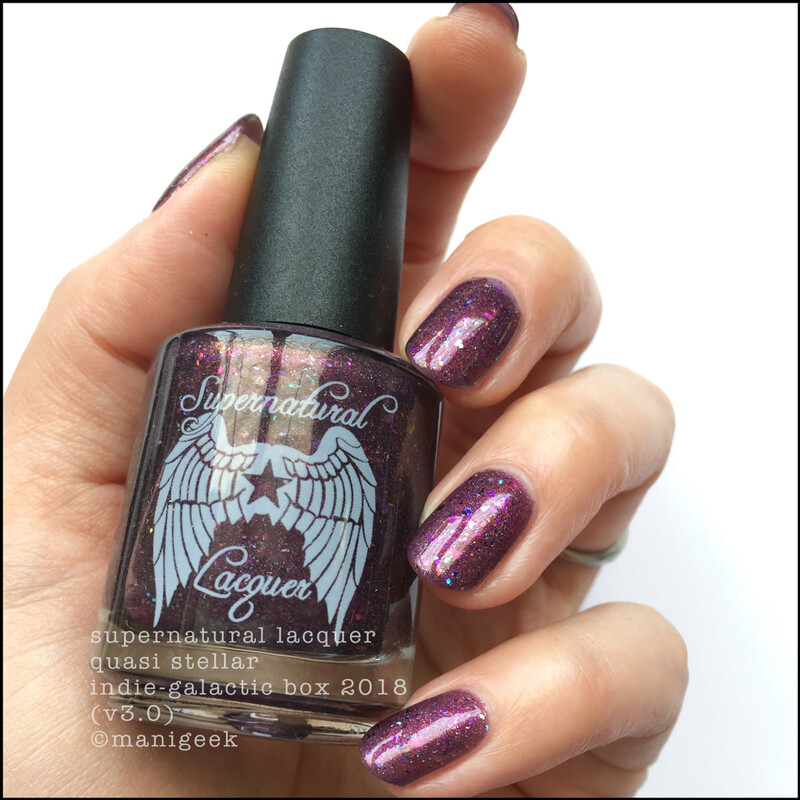 Supernatural Lacquer Quasi Stellar – Indie-Galactic Box 3.0 (above). Gah! I love me a plumberry! I love it! I just wanna spread it all over some peanut butter ‘n make me a sammich! 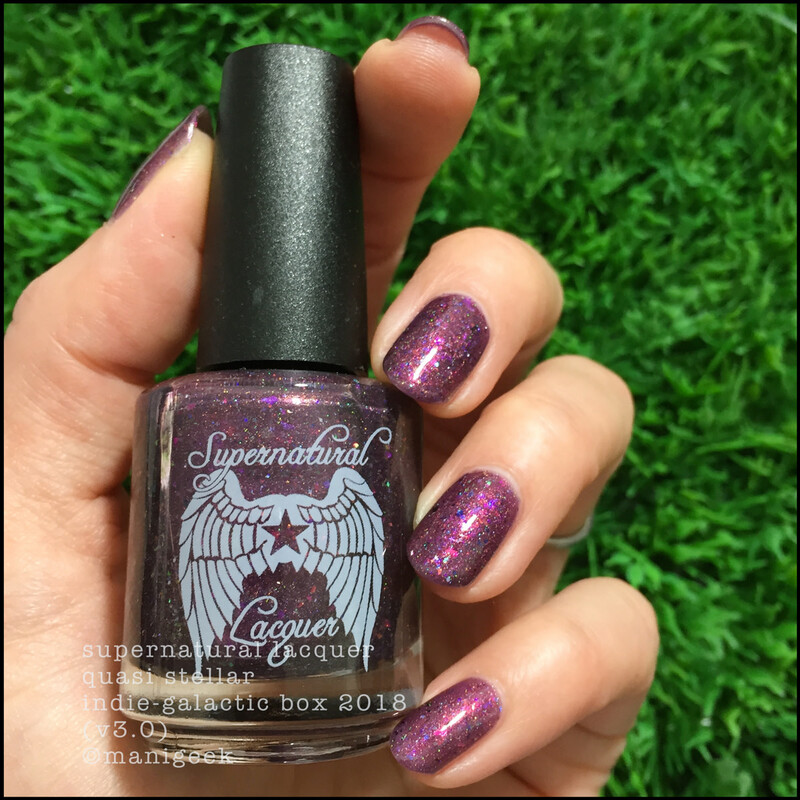 Supernatural Lacquer Quasi Stellar w/ side salad – Indie Galactic Box 2018 (above). And I might have shown this to my nail nerd pal Bex and she might have said this “definitely makes me think of sipping sangria on the deck in the summer.” Like, who wouldn’t want that, huh? And there you go! It’s the final frontier! Wheeee!!!! The Indie-Galactic Box v3.0 drops at 12pm EST August 10, 2018 and will run until August 17 with a turnaround time of approximately 2 weeks. Price? $47.50 USD + shipping. So? You gonna? Because you should – it’s like totally spaced out, man!